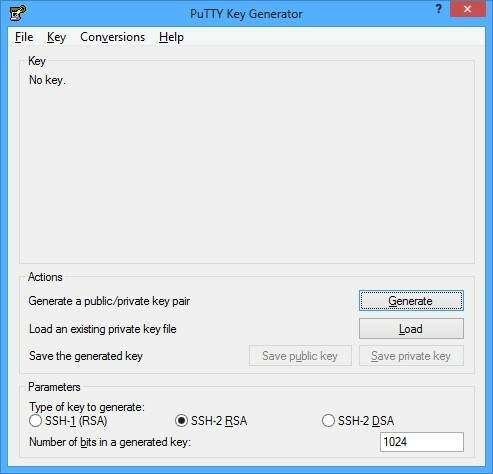 This guide will show you how to generate and use SSH keys (public and private) using PuTTYgen and PuTTY for Linux servers. Once they have been downloaded to a proper directory, open PuTTYgen first. Click on “Generate” to begin the key generation process. It will ask you to move your mouse around over the program window to help generate “random” data. When the key is generated, the window will look like the picture below. Most of the information presented here is superfluous except in special instances. All you will want to do is update the “Key comment” box with a better friendly name for the key. Once you have done that, select all of the text in the “Key” box and paste it into Notepad or Notepad++ (preferred). Save that text file somewhere safe. You will also need to click “Save private key” on this window. Name it something useful and place it somewhere secure as well. To use this key with a PuTTY connection, simply select the “Auth” menu on the left side of the program. This can be found under Connection -> SSH -> Auth. In this menu, there is a box titled “Private key file for authentication.” Click browse and find the .ppk file that you saved in the previous step. At this point, if you name and save your connection in the “Session” category, you won’t ever have to follow this process again for that server/IP. Otherwise, you would need to choose your key each time you connect. 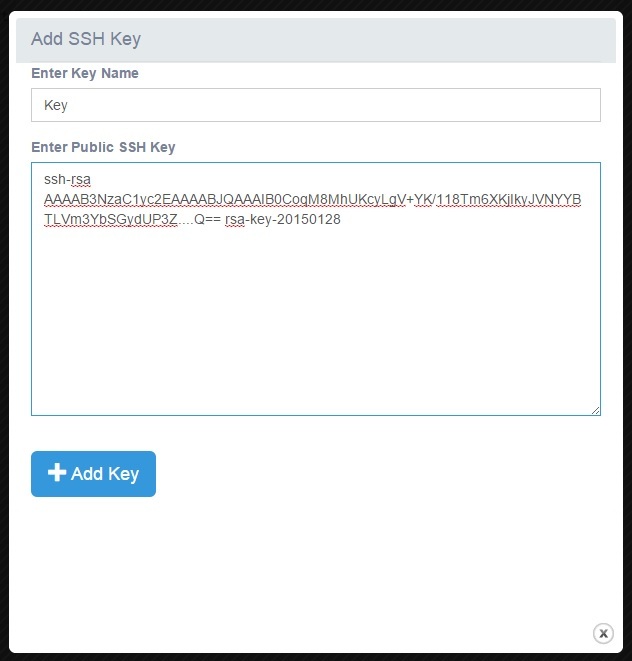 Creating a cloud server that uses an SSH key is simple. You will first need to setup your key in the cloud portal. When the window pops up, simply name your key, and paste the public key text (that you saved to a notepad file in a previous step) into the large box. Click “Add Key.” If there were no issues with the key (inappropriate line breaks, errors, etc) it will save to the portal and be accessible for new servers. To create a server that utilizes this key for root login, simply follow the “create server” steps found here. -When choosing your server size and OS, you will see an option at the bottom that says “Pick SSH Key.” You will see the key we just created in that list. When the server comes online, simply use the previous PuTTY steps to connect to the server using that public key. The username will always be root when using our public key system. Simply use PuTTY to log into the server as usual using the root account and password. You may already want to save a PuTTY profile with your key, even though the server will reject it until it is configured. Done! At this point, if you plan to access the server often, you will definitely want to save a profile. You can also setup a username to auto-login with under Data -> “Auto-login username.” Simply type root into that box and save it along with the private key and IP address to a PuTTY profile, and you can have instant passwordless login access to your server! For more information about PuTTY, visit https://www.putty.org/. For more information about PuTTYgen, visit https://www.puttygen.com/.